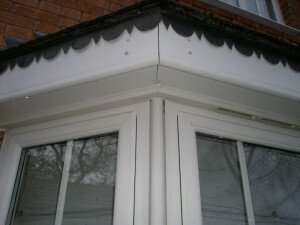 This is an example of what can be achieved using pure water on windows and frames! Notice the cobwebs and general dirt accumulated on these frames over a few months at the end of the autumn when the spiders have had a field day with the insects before the winter months begin. When windows are cleaned correctly with pure water, frames and windows are transformed immediately. 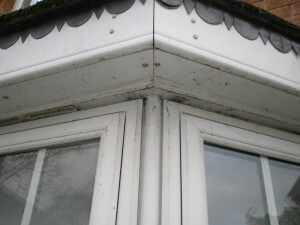 Look at the two example photo’s of before and after, the dirt and cobwebs are gone and the frames and windows look fantastic again! With windows cleaned regularly with pure water, your frames and windows will be perfect. Sadly there are window cleaners out there that use pure water but do not utilise its potential to the full, here at DMC window cleaning we use it to achieve perfect results every time on both glass and frames. If you would like to see how your windows and frames could look, then please contact us and we can demonstrate the difference we can make to your home. Call Duncan on 07545 149197 for a free demo on one of your windows to see for yourself.